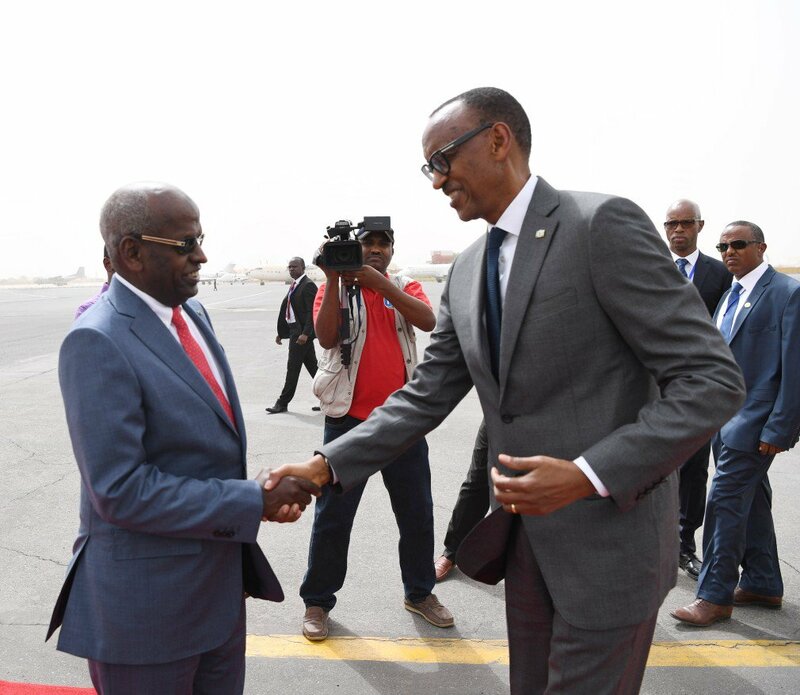 President Paul Kagame has arrived in Djibouti at the invitation of his counterpart Ismail Guelleh for the inauguration of Djibouti International Free Trade Zone. The country in the horn of Africa enjoys cordial relationship with Rwanda. 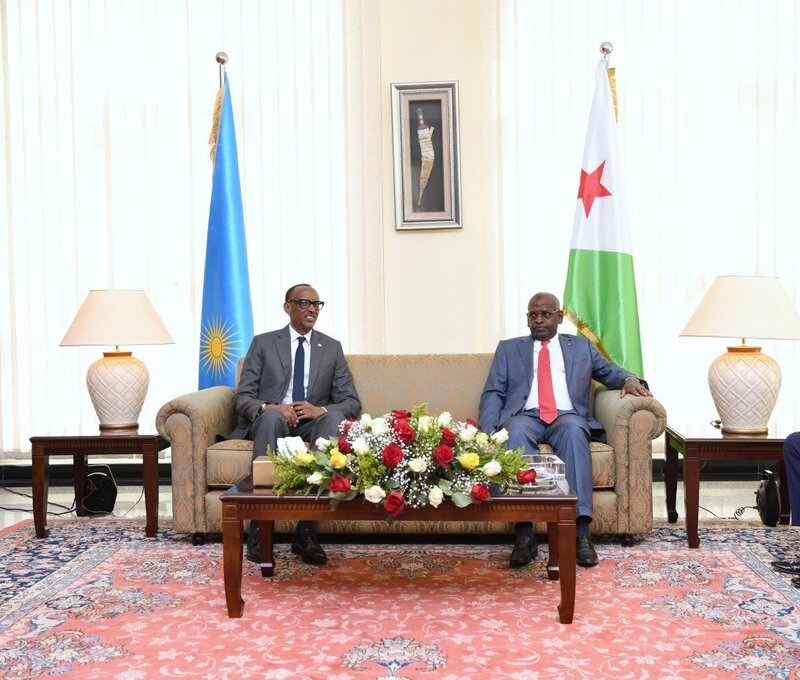 As far trade is concerned, Djibouti gave Rwanda 60 hectares of land at the Djibouti Port, a strategic area that will link Rwanda to the Arab world. Recently, trade officials in Rwanda told the parliament that Rwanda is receiving bids of investors who want to develop infrastructure on this land-already some 20 hectares were already given away. Rwanda also gave Djibouti 20 hectares of land in the Kigali Special Economic Zone. President Guelleh visited the land in 2016. 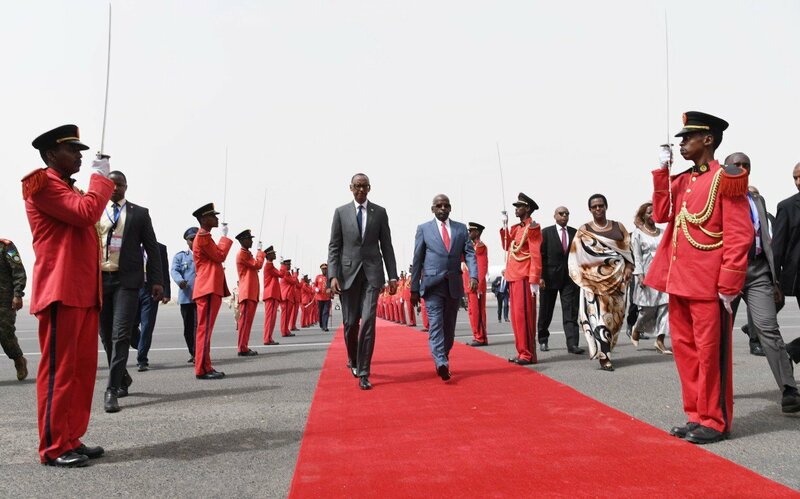 President Guelleh made several visits to Rwanda and President Kagame visits Djibouti on several occasions. His last visit to Djibouti was in April 2017. He discussed with his Djiboutian counterpart several trade deals. Djibouti removed visa fee for diplomats from Rwanda. Meanwhile, Djibouti carrier-the Air Djibouti is set to launch Kigali route this month. Djibouti International Free Trade Zone will span over a total 48 square kilometres after expansion. It is one of the largest free trade zones in Africa and will benefit the whole continent as, under the auspice of the African Union.